If you are contemplating divorce, are involved in a custody battle, need to modify your child support payments, or enforce a parenting plan, contact Daniel F. Carbone, P.A. today. Divorce and family law issues are some of the most difficult areas of the law. They are emotional and personal. I am here to get you past this difficult time in your life. 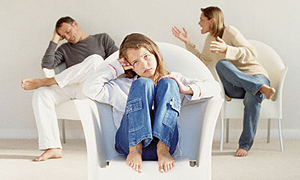 In my experience, I have found that no one is ever happy in family court, but if you can agree on how to separate, it will save you a lot of money and anger. But, there are cases where settlement is not possible. In those situations, I will fight for your interests in front of a judge. Is your ex-spouse not paying support? Have your circumstances changed making it impossible for you to pay support? I help people modify court orders for spousal support, child support, and visitation schedules when there has been a substantial change in circumstances. I also help clients enforce agreements. My office is located in Singer Island, but I serve clients throughout Palm Beach County. Call 561-863-9962 or send me an e-mail to schedule an initial consultation.